The short answer is yes. So, if that’s all you wanted to know, you could stop reading now, but please don’t. The long answer is yes, because of the larger multimedia landscape. Spider-Man still has the most merchandise, is the first and second choice for a new animated series, and has the best video games in the Marvel family. However, the explosion in popularity of the comic book movie has put this unimpeachable status into doubt. For whatever reason, movies still retain top status in the entertainment world. Even with the rise of an on-demand society, and the ever-steady evolution in quality of the television show, a blockbuster movie still carries more weight than anything. Ironically, it’s because of bad movie business deals that the title of Marvel’s flagship character is in doubt in the first place. So, let’s break down the pros and cons of each contender. 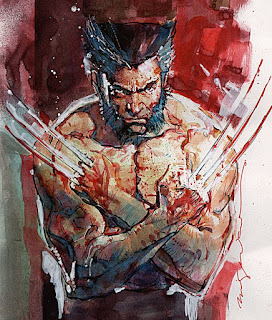 The argument for: Wolverine has been steadily making the climb towards Marvel’s most popular character in the comics for several decades. One of the interesting things about the four characters I’m going to discuss is how they represent opposite ends of the spectrum from each other. Wolverine is the complete opposite of Spider-Man as a character. 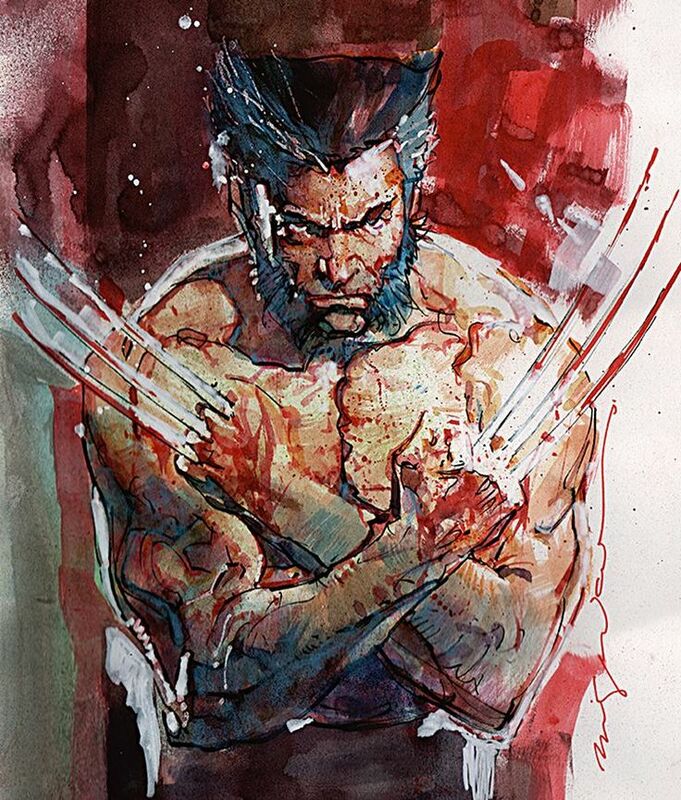 Spider-Man in many depictions represents youth, one of Wolverine’s defining characteristics is that he’s very old. Spider-Man is steadfastly and vocally against killing, while again, Wolverine’s initial hook was all about how he was willing to kill. Spider-Man is defined by his mistakes and his real world struggles, Wolverine is the guys that’s been around the block twice and always thinks he knows best, and usually does. I could go on, but the basic point here is that Wolverine is more appealing to a teenage to young adult audience. The struggles of Peter Parker works well in a printed visual medium, where the voice of the character is literally your own voice in your own head as you’re reading. You can relate to him more, because you have to actively internalize him as a fundamental aspect of reading. So all the mistakes and all the, let’s face it, whining isn’t as aggravating when you’re reading it in your own head. Wolverine flat out kills people, has knives in his hands, a secret mystery spy background, fights ninjas, is unkillable, I could go on. He’s basically every masculine trope thrown into a big pot and drawn in a cool costume. The X-Men and Spider-Man movies basically kick-started the dominance of the comic book movie. While I think, as a whole, the Spider-Man movies have been better over the past 17 years, the X-Men movies have one advantage that moviegoers seem to value more, consistency. As good as Spider-Man: Homecoming was, there was still a level of eyeroll included because it’s the third version of the character since 2001. In contrast, Hugh Jackman has been playing Wolverine since the beginning, and while I was never completely on board with him as that character, the sheer amount of time and output with him in the role has worn me down. Going back to the coolness factor, it’s hard for Spider-Man: Homecoming to win fans over in the same year that we finally get the R-rated, noir-flavored, Wolverine finally let loose, joy that was the Logan movie. The argument against: If the best possible representation of your character in a movie has to be R-rated, that has to count against you in terms of representing your multimedia company across all platforms. The argument for: Captain America has had the strongest film series out of the Avengers group. Superheroes are one of the great American inventions, and there’s nobody that epitomizes that more than the character that wears the American flag as part of his costume. He represents the best of us and is the moral compass of the universe. Chris Evans might actually be Captain America in real life. He’s arguably the purest representation of a hero that deserved to be powerful before he became powerful. He’s very much a perfected amalgamation of the “greatest generation” that fought for and saved the world in WWII. More on that later when I discuss our next contender. 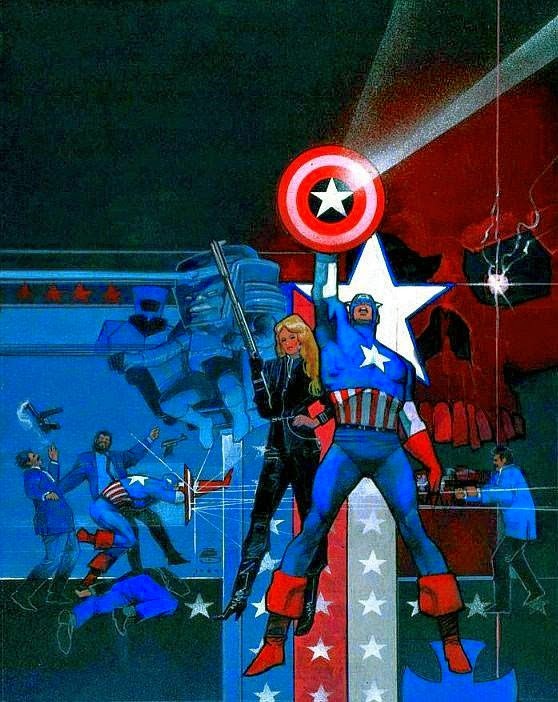 The argument against: Captain America may have had the best film series, but only because he had help from the rest of the established Avengers team. Black Widow played a significant role in The Winter Soldier, and Civil War was for all intents and purposes an Avengers film. Captain America may be the ultimate American superhero, but for a medium that has for a long time expanded into a worldwide phenomenon, that’s not necessarily a good thing. I can imagine it’s harder for your favorite Marvel character to be Captain America when you’re growing up in Japan, or Australia. For the moral compass of the universe, Steve Rogers was essentially in the wrong for all of the Civil War movie. He had good reasons for resisting registration, but everything he did in the story was based solely on his loyalty toward his childhood friend. He just so happened to be right in the end, because there was a larger conspiracy in play, but that was purely by accident. He very much operates on the same side of the spectrum of “too righteous to be interesting” that Spider-Man and Superman occupy. The argument for: I mentioned before that the diminishing status of Spider-Man was partly Marvel’s own fault. Before they became their own movie studio, they licensed out the movie rights for Spider-Man to Sony, and the X-Men to Fox. You could argue the only reason Marvel even made Avengers movies, is that when they decided to finance and produce their own films, the Avengers were the top characters they had left available to them. It’s because they are definitively so much better at it than both Sony and Fox, that Wolverine and Spider-Man are now suffering because of it. Marvel may have been forced to use the Avengers, but what nobody could have foreseen is that Iron Man happened to be the perfect hero for our modern age. 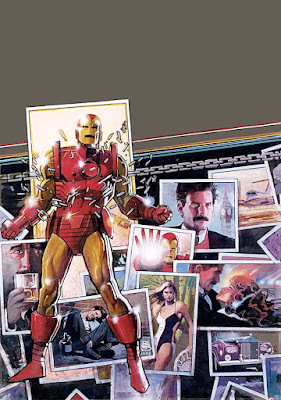 Iron Man being discussed as a viable contender to be Marvel’s flagship character is absolutely inexplicable for longtime comic book fans. 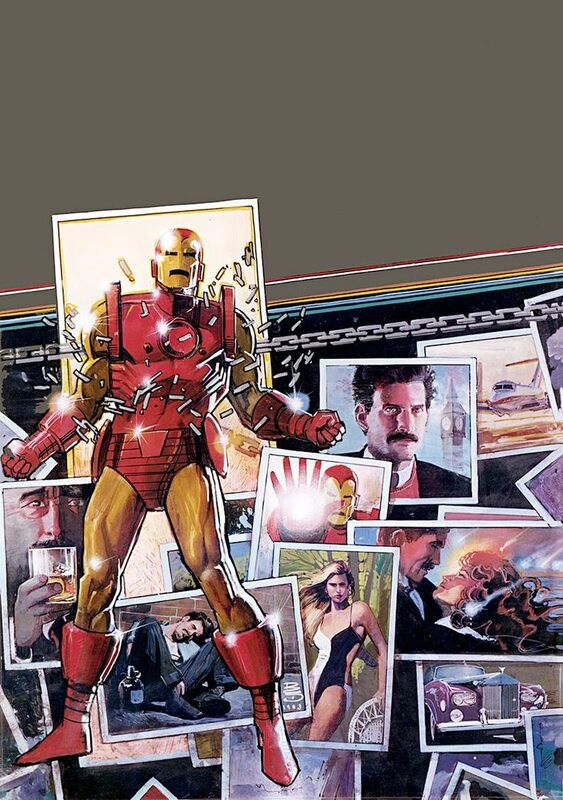 Iron Man’s continued relevance over the years was based solely on his status as one of the original Marvel heroes, a Stan and Jack creation, and a founding Avenger. He was replaced as Iron Man for several years, back before that was a regular thing, and his most notable storyline for the first 40 plus years of his publication history involved him being an alcoholic. Which isn’t exactly a rip-roaring action-packed good time. What changed was a perfect combination of factors working in his favor. First, Marvel had no access to their “best” characters, so they had to use the Avengers to start their movie franchise, and they coincidentally started with Iron Man. Next, our technology as a species is expanding at an exponential rate, and nobody taps into that better than Tony Stark. (This places him as a direct opposite to Captain America, the physical embodiment of an analog generation. The morally perfect manly-men that saved the world, vs the tech-savvy emotionally flawed generation of today. Civil War seemed so natural for a reason.) Lastly, they got the perfect actor to play Stark in the form of Robert Downey Jr. He has become the perfect centerpiece for this ever-expanding film universe that is dominating the movie industry. Even though Iron Man 2 and 3 are heavily flawed films, they remain entertaining solely thanks to the charisma of RDJ. The argument against: Which is where the problem begins. Will Iron Man be able to maintain this level of success after Robert Downey Jr. inevitable no longer inhabits the role of Tony Stark? The larger public’s increasingly tepid response to each successive Spider-Man (even though I personally think each iteration has only gotten better) suggests this is going to be a major obstacle for the MCU going forward. As I said in the beginning, I believe Spider-Man remains Marvel’s flagship character almost by default. The success of the Avengers films has carried over into the comic book world, where that franchise has replaced the X-Men as the dominant franchise at the company. Spider-Man has had more than his fair share of fan controversies this millennium, fair or not, so there’s an unknown percentage of his audience that still feels alienated as a result (I argue it’s small, but there’s no denying a percentage exists). Fox still owns the license for the X-Men, so it’s only natural to believe that Marvel isn’t pushing their mutants as hard as they used to, both in comics and multimedia. There’s no telling what kind of media legs Captain America and Iron Man will have once Chris Evans and Robert Downey Jr. move on, respectively. The only character that has a proven track record of success across all platforms over the course of decades, is Spider-Man. But his lead is shrinking. It will be interesting to see if he has a figurative Batman ready to surpass him, like the actual Batman did to Superman. Maybe it’s Deadpool. I like Deadpool. 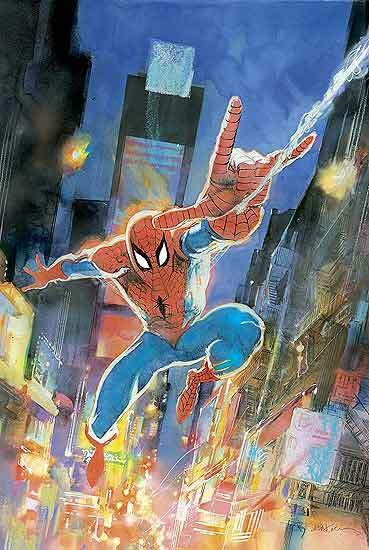 All images in this column courtesy of the greatest multimedia artist in comics history, Bill Sienkiewicz.